Now, let's welcome Dr. Todd Cartmell. I was glad Jill Savage recommended him for this real-life dads series of mine and I was thankful he was willing to participate. Do you remember the movie "Toy Story"? There was a dramatic scene where Buzz Lightyear was taped to a rocket on Sid’s (the mean kid) desk and Woody was trapped underneath an old plastic milk crate. This was their last chance to escape and Woody was trying to get Buzz to help. However, a dejected Buzz, who had recently discovered that he was merely a toy, could not find a reason to go on. Buzz: "You were right all long. I’m not a space ranger, I’m just a toy — a stupid, little, insignificant toy." 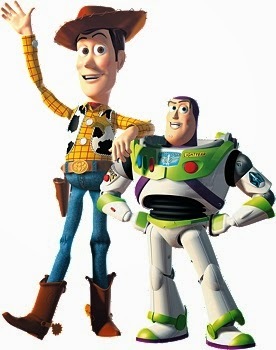 Woody: "Whoa, hey, wait a minute. Being a toy is a lot better than being a space ranger." Woody: "No, it is. Look, over in that house is a kid who thinks you are the greatest. And it’s not because you are a space ranger, pal, it’s because you’re a toy. You are his toy." This is the message that Buzz needed to hear. It is a message that you need to hear as well. You want to be a great mom or dad. But you know that you are not a perfect mom or dad. Your imperfections can be lined up side by side as far as the eye can see. Woody: "Look, over in that house (your house) is a kid who thinks you are the greatest. And it’s not because you are a super-parent, it’s because you’re a mom/dad. You are his/her mom/dad." Your kids don’t need a perfect parent. With all of your flaws and imperfections. With your good days and bad. With your "I wish Oprah could have seen that" moments and the moments you wish you could take back. What do you call less than perfect parents who are doing their best to be great parents to their kids? I call them authentic parents. Authentic parents do their best to set a godly example for their kids to follow. Authentic parents show their kids how to talk respectfully, even when it is hard. Authentic parents work on solving problems rather than making them worse. Authentic parents honor God by demonstrating patience, kindness, and self-control. But (get ready for a deep sigh of relief), authentic parents are not perfect. When they handle things the wrong way (which they will do from time to time), they handle that the right way. Yes, you read that correctly. They do wrong right. Tim and Megan recently came to see me because they wanted to do a better job as parents. They told me about their kids’ negative behavior and also how they responded in ways that were not helpful. We talked about how to set the right example by apologizing to their kids for times they had handled things poorly. I gave them ideas for connecting with their kids and for handling negative behavior in a way that would strengthen their relationships instead of damage them. Tim and Megan got right to work. They were not perfect parents, but they were authentic parents. They took responsibility for their own words and actions. They were not too proud to apologize when it was called for or seek help when it was needed. Paul encouraged the believers in Corinth to follow him as he followed Christ (1 Corinthians 11:1). In the same way, your example can show your kids what following Christ is all about. I imagine that your walk with Christ will not be perfect. But it can be authentic. And that is exactly the example your kids need to see. 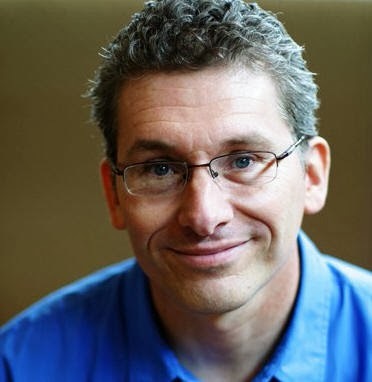 Dr. Todd Cartmell is a clinical child psychologist who practices at Summit Clinical Services in Wheaton, Ill. He is the author of several parenting books and conducts fun, practical parenting workshops. You can follow Dr. Todd on Facebook and read his blog at www.drtodd.net. What a great message, Todd. THANK YOU. My children are young adults now but this still speaks to me heart because we never stop being their parents and I will never be a perfect parent. I'm grateful for how God is teaching me to be authentic and love them like Christ loves us. I'm a big Toy Story fan too! You're such an encourager, Beth! So glad you're liking the series. I was excited about it personally, so I'm glad I'm not alone in enjoying these real-life stories from dads. I love all these discussions and I am so encouraged about the future. Of course I am a little partial to the first guest writer. Looking forward to more articles.